On 31 January 2018, JTJB hosted an International Business & Investment Law Conference at Amara Hotel Singapore. The panelists were legal experts from JTJB’s network offices – Mr. James Hung from JTJB Taipei, Mr. Taejin Kim from K&P Law Firm, Dr. Harald Endemann and Eva-Maria Braje from Endemann. Schmidt, Ms. Rahayu Abd Ghani from Rahayu Partnership, Mr. Alexander from Hadromi & Partners, Mr. Bunnasomboon from JTJB International Lawyers, and Ms. Florence Goh from JTJB LLP. The speakers shared insights on key business and investment laws in their jurisdictions and answered numerous questions from interested delegates. 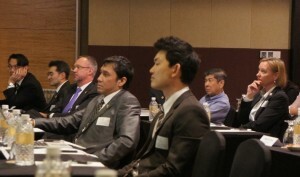 The Conference was designed to benefit delegates that have businesses in other jurisdictions. With its expertise and extensive network, JTJB is well placed to assist clients who wish to expand their regional and international presence. Clarence Lun joins as Counsel. Prior to joining JTJB, Clarence was the Group General Counsel and Senior Legal Counsel of 2 major listed oil and gas companies in Singapore. Prior to that, Clarence gained experience practicing in the dispute resolution department of an international law firm and a prominent local law firm. Ramandeep Kaur joins as an Associate in the Energy Resources & Infrastructure and Commercial Dispute Resolution Teams. She joins us from a prominent local firm. She has worked on major litigation and arbitration matters before the Singapore High Court, the SIAC and the LCIA. 1st of February 2018 marked the 30th Anniversary of Joseph Tan Jude Benny LLP. To celebrate this milestone, a gala dinner was held at the Fullerton Hotel that was attended by over 400 guests including clients, top industry figures, members of JTJB network offices and representatives from ADVOC group. Guests were treated to the unveiling of JTJB’s new corporate video, performances by Vox, Singapore’s first pop/rock band on strings, well known Singaporean stand-up comedian Rishi Budhrani as well as an impromptu on-stage interview of the Firm’s founders conducted in humorous style by Rishi Budhrani. In celebration of JTJB’s 30th anniversary and to give back to society, Murali Pany also announced that the Firm will be setting up a JTJB Bursary. This will be an annual sum to provide support to underprivileged children for their education. JTJB Network Office Endemann. Schmidt’s Eva-Maria Braje has been admitted to the roll of solicitors for the Senior Courts of England & Wales as of 1 November 2017. 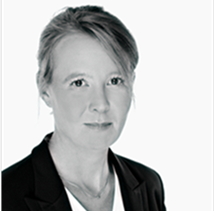 With a strong practice focus on maritime and logistic law, Eva is able to provide advice on English law in shipping as well as the litigation and commercial matters. This is particularly useful with a looming Brexit and the new challenges that come with it.